I have always loved hot air balloons. They are so colorful and fun! I love watching them fly slowly through the sky. I’m definitely more of a spectator than a rider (because…heights! ), but it’s fun to think about what the world might look like from a high-flying balloon. I also love all of the different designs that are on hot air balloons. 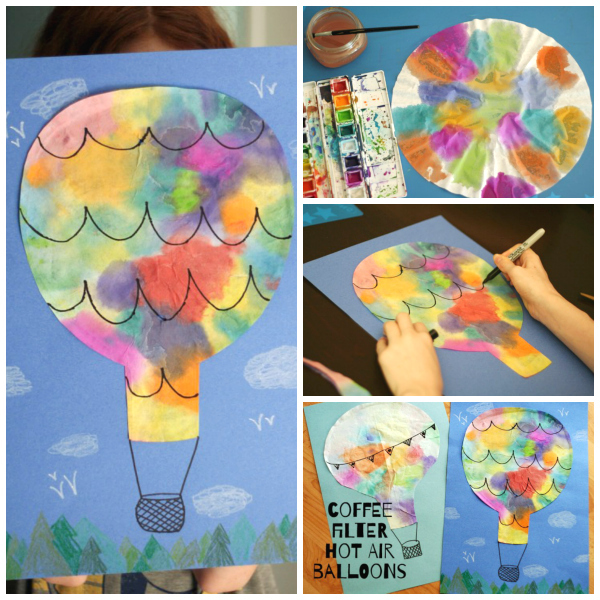 They inspired me to try to this hot air balloon watercolor art project. 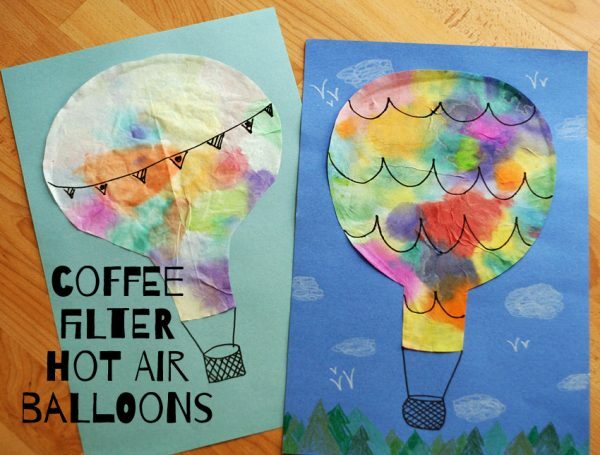 We designed our own hot air balloons with watercolors, coffee filters, and markers. 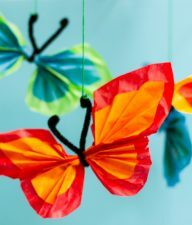 Coffee filters are such fun to paint, and this is a simple project that preschoolers and up can enjoy. Perfect for summer crafting. 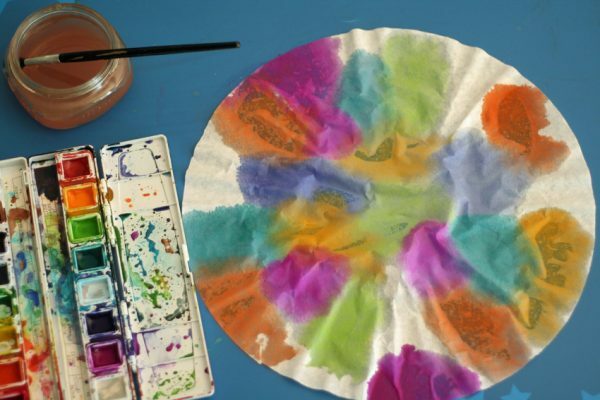 Paint the coffee filters with watercolors, in any design you like. 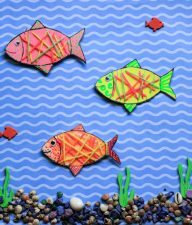 You could do stripes, dots, or random patches of color. The watercolors will spread a lot through the absorbent coffee filters – so fun to paint and watch! 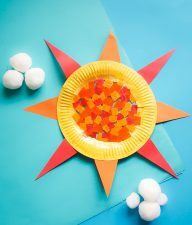 In fact, even if your kiddos don’t want to make hot air balloons, I highly recommend setting out a big stack of coffee filters and some watercolors for a fun summer activity! Set the coffee filters aside to dry completely. 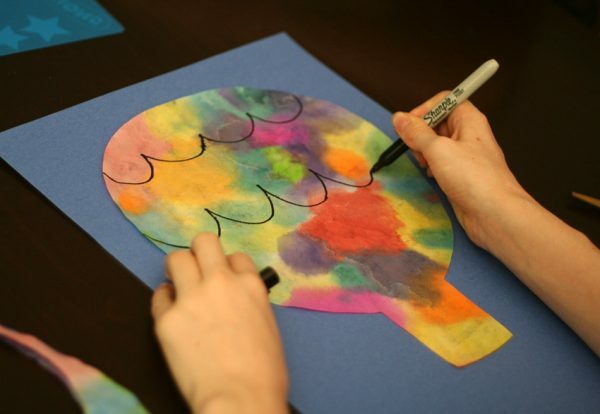 Fold the coffee filter in half, and lightly draw a half-balloon shape with a pencil. 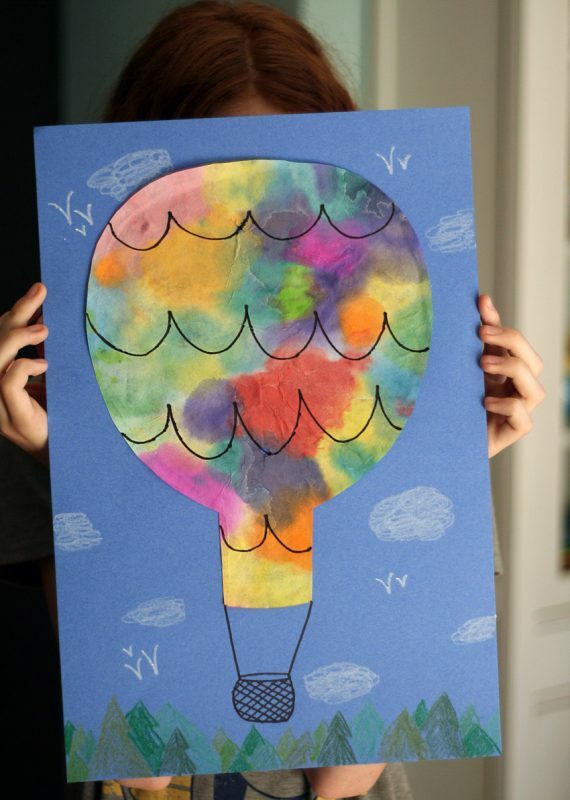 Cut out the hot air balloon and glue to the background paper. 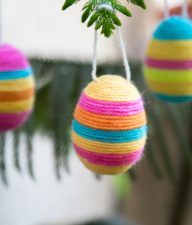 Using a black marker or crayon (we used Sharpies), add details to your balloon, such as stripes, zigzags, flowers, or dots. Anything goes! Don’t forget to add a basket, too. If you want to add more details, use markers or crayons to draw clouds, trees, birds, or anything else you might see on your hot air balloon ride. I love how colorful and whimsical our hot air balloons turned out! You could even draw a picture of yourself riding in the basket. Where would you like to go in a hot air balloon? Fun to think about!